Ivy Sole in "Taken." Image courtesy of the artist. We premiere the new visual shot in Ghana's Cape Coast and Tema. Ivy Sole has been capturing a lot of people's ears for her alluring blend of hazy R&B; vocals, rhymes and influences from her past as a spoken word poet. That's all clear in the Philadelphia-based artist's 13-song debut album, Overgrown. 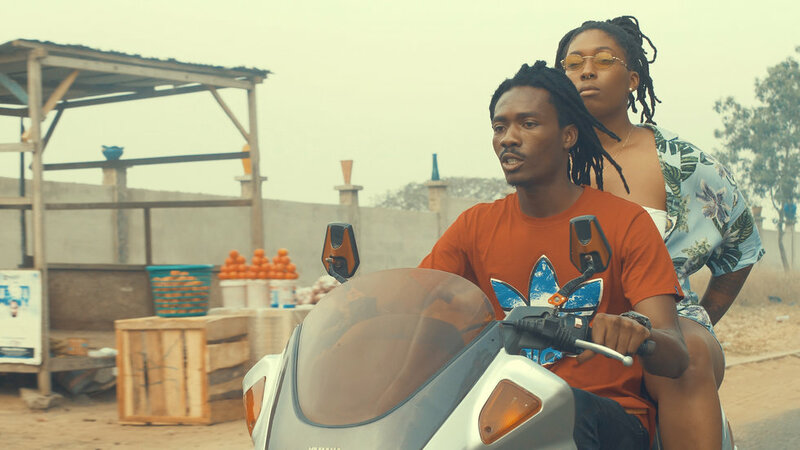 "Taken," one of the highlights form that full-length, sees the rapper-singer connecting with Ghana's B4Bonah over an airy afro-fusion concoction as they lament a desire over someone who's already taken. The track was produced by Sole's manager Ethan Boye-Doe, who's family has roots in Ghana. Today we're premiering the new music video for "Taken" which follows Sole and B4Bonah to Ghana's Cape Coast and Tema. The scenic new clip was directed by David Duncan, one of our young African music video directors to look out for in 2019 for his work with La Même Gang and others. "I wanted to visit West Africa as a pilgrimage of sorts," Ivy Sole tells OkayAfrica in an e-mail. "I think many Black Americans and Black Caribbean folks have a yearning to go to where our families started, but we don't have a specific place to return to because that history was stolen." With the video, "Taken," takes on two meanings: the original romantic one and a deeper connection to the enslaved Africans taken across the Atlantic from ports like Cape Coast. "I consider myself blessed to have loved ones who have ties and are willing to share their homes with me; my manager (who produced the beat and the video) made it a priority to help me get to Ghana, collaborate with Bonah and accomplish the goal of creating more music and this video while we were there," she adds. "B4Bonah is one of my favorite Afrobeat artists and being able to shoot this video in Tema and Cape Coast made the trip extra special. It was heavy to be standing in a place where such terror took place, but I think my ancestors would be proud of my path back and my path forward." Watch our premiere of "Taken" below.